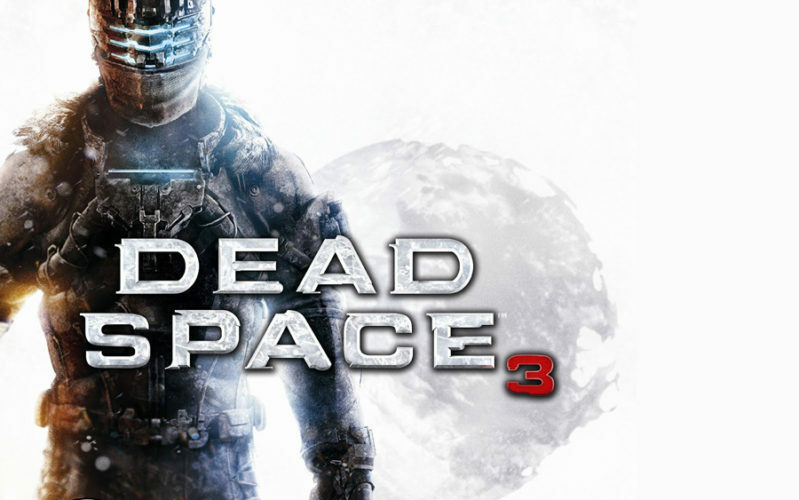 Dead Space 3 is, of course, the long awaited third iteration of a series that began life as a survival horror game and ended with something notably less fear inducing, but still thoroughly enjoyable. It initially struck me as odd that the series moved away from its original intentions in Dead Space 2, opting for a more action oriented game than one with the subtle build-up of suspense followed by a BOO, gotcha moment upon which so many horror titles rely. 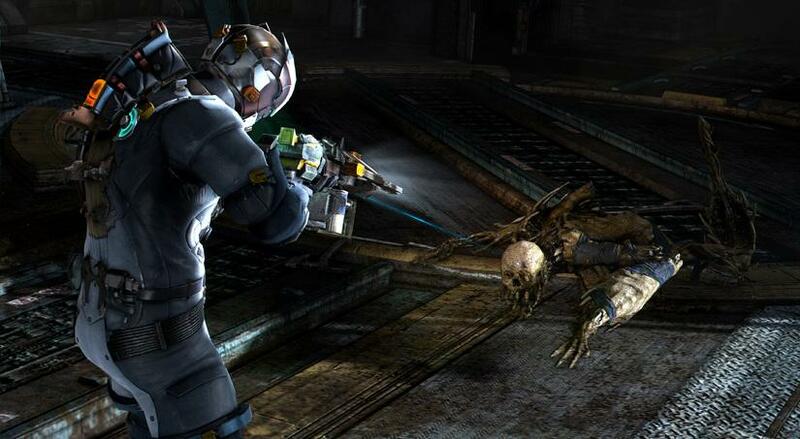 When I first played the original Dead Space, I remember jumping out of my seat on more than one occasion. Maybe it was because I only played it at night around Halloween, or because that was almost five years ago and I was a much bigger wussbag back then; reflecting back on it, I think Dead Space just managed its suspenseful moments better. That isn’t to say the series has somehow gone downhill since the original. As a matter of fact, I’d say the series has become a less cerebral experience but a more enjoyable one; it’s as if the developers of second and third games became more, Visceral (See what I did there? I’m so darn clever!). Well, that is pretty scary…I guess. 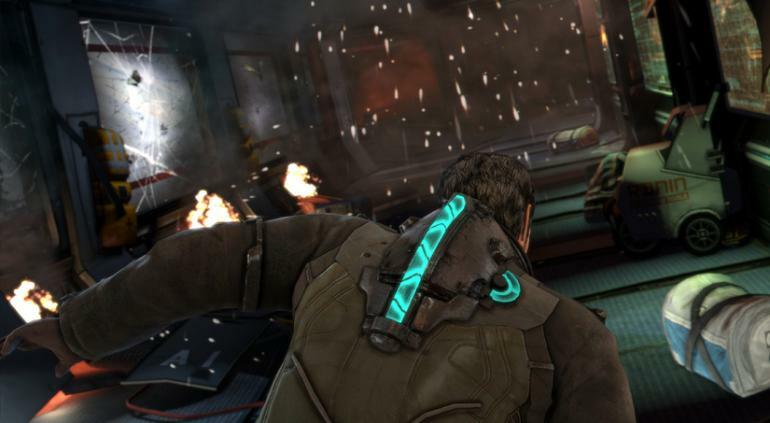 Dead Space 3 picks up two months after the events of Dead Space 2. Within these two months Isaac Clarke and Ellie Langford develop a romantic relationship, but due to Isaac’s inability to return to “normal” life Ellie, reluctantly, leaves him and disappears. As Isaac is brooding away inside his lunar colony apartment he is ambushed by a pair of EarthGov soldiers: Captain Robert Norton and Sergeant John Carver. Norton tells Isaac that he needs his help finding Ellie, who told Norton to contact him should anything go wrong. Upon hearing it was Ellie who, in a roundabout way, asked for his help, Isaac cooperates and the three men begin making their way out of the lunar colony and onto a ship. Unfortunately, things go awry, when Unitoligist soldiers, who have more or less taken over EarthGov, activate a Marker, causing another necromorph outbreak. 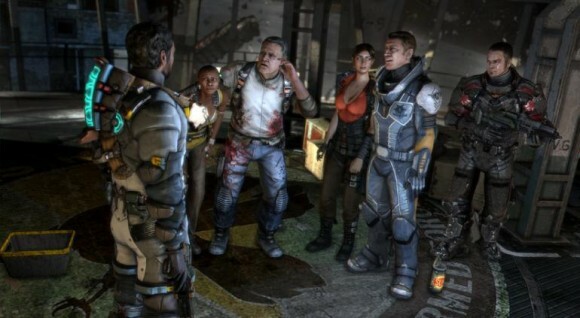 Isaac gets separated from his new companions and is forced to meet up with them further ahead. 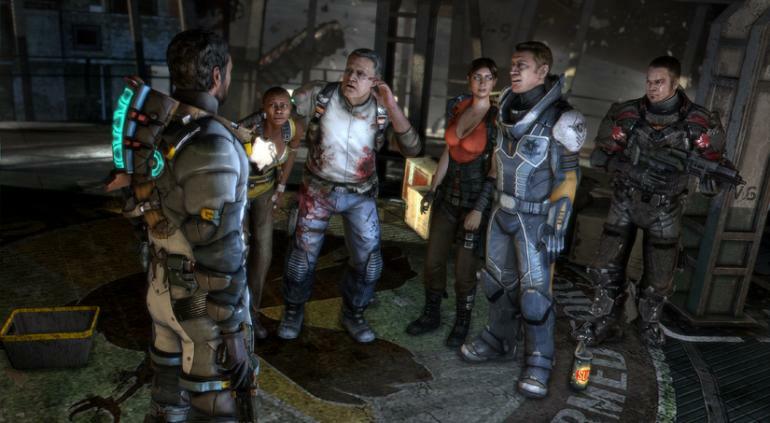 After fighting off waves of Unitoligist soldiers, necromorphs, and surviving an encounter with the commander of the Unitoligists, Jacob Danik, Isaac is reunited with Norton and Carver; the three of them board a ship and quickly warp through space to the location where Ellie is presumed to be. After a rough arrival, Isaac, Carver, and Norton find Ellie and her crew aboard the derelict CMS Roanoke. Ellie tells Isaac that information regarding how to end the necromorph outbreak once and for all resides aboard the Roanoke. Soon, Isaac finds out the nearby planet Tau Volantis is the Marker home world, and the key to the destruction of all Markers resides on its surface. Not everyone present is thrilled with exploring an alien planet, but Ellie and Isaac urge them onward. Together Isaac, Ellie, and their companions travel to the planet to definitively end the Marker’s reign, but not everyone on Tau Volantis has the same goal in mind and things become increasingly dire when Danik and his men arrive to stop Isaac and initiate convergence. So, hey…everybody’s alive…smoke if ya got-em. 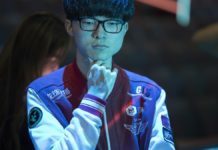 The narrative, while decent, is very predictable, to the point that I started to call out my predictions for what would happen next: and I was usually right. I won’t say who, but when a character is about to die you can see it coming a mile away so that by the time their death scene comes around, it loses all meaning. Isaac also must be the unluckiest guy in the galaxy because he always seems to be in the wrong place, at the wrong time; either that or Visceral was grasping at straws to come up with action sequences. I find it hard to take the game seriously when Isaac continually finds himself in improbable situations such as a bulldozer that has been sitting on a frozen cliff for 200 years suddenly decides to fall right as Isaac walks by. It’s also distracting when he gets separated from his companions for the thousandth time right after reuniting with them. Isaac reminds me of that kid on Hey Arnold! who’s always caught in a terrible situation. However, the biggest issue with the story is the botched way in which the developers went about enacting Dead Space 3’s drop-in cooperative mode. In co-op mode the second player takes the role of Sergeant John Carver to help Isaac along the way. Together, you and another player unlock the ability to play through various co-op only side missions. To say I wasn’t a little worried about the inclusion of co-op in a series that has thus far appealed to the idea of loneliness and isolation would be an outright fabrication. 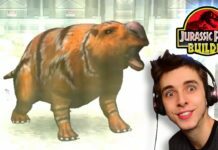 So what did I end up thinking about the co-op mode? 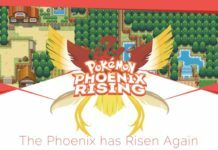 I couldn’t tell you as I didn’t get to play it due to my terrible internet connection and the fact that local co-op is not supported. What I can comment on are the various hold overs from co-op mode that make several moments in single player very choppy and awkward. Oftentimes you walk into an area, triggering a cutscene, and suddenly Carver appears from nowhere and acts as if he’s been right beside you the whole time. The first time this happened I literally said, and I quote: “Wha…? Who the eff are you and where did you come from! ?” Because Carver had only been in the background of a few scenes up until that point I was not aware of his presence enough to recognize him; I thought maybe Isaac was having hallucinations about an ex-boyfriend this time around. Then, as the cutscene ends, Carver says something along the lines of “let’s go” and walks off camera to only be seen again during the next cutscene he’s involved in. From what I’ve read online, the co-op version of the story is executed much better, giving Carver much more character development as we explore his complicated past. Thankfully, this means the awkward cutscenes are much more coherent and are given much more context. However, knowing this just makes me feel cheated: as though I’m getting the equivalent of movie edited for television due to time constraints. Like I said before, the narrative is decent, even though it’s predictable, and there are actually quite a few things I enjoyed about it. For starters, the opening sequence where you play as a soldier on Tau Volantis 200 years prior to Isaac’s story really sets up the tone for the rest of the game while also acting as a sort of veiled tutorial level. Upon completion of this level, I found myself itching to learn more about this alien world. Another aspect I thoroughly enjoyed was just how interesting of a character Isaac becomes as the story progresses. It’s quite refreshing to play as an intelligent, emotional character with a clear goal in mind, rather than a military meat-head following meaningless orders barked from a commanding officer. For the most part Isaac is the only character worth caring about, though other characters start to show some promise towards the end, but by then it’s too little, too late. The journals and artifacts left behind by unseen characters really go a long way towards fleshing out Dead Space 3’s mythos and universe. Those left behind by Unitoligist soldiers are particularly interesting because they make them seem more like humans with a strong belief, rather than religious zealots. Through their writing you hear the doubts they have about their actions and the actions of their group, as well as their reasoning behind why they believe in their cause so greatly. The most touching moment in Dead Space 3 is one cutscene where Isaac and Carver are talking about what a “good man is” and whether or not either of them would be considered a good man. This scene displayed a great amount of writing talent on the part of the developers and I actually felt something during this conversation; I imagine I would have felt even more had I gotten Carver’s back story, but I’ve complained about the co-op situation already so we’ll leave it at that. Apart from that I’ll just comment on how superb the voice acting is, even for characters I didn’t give a crap about, and the last few chapters become increasingly less predictable, having a few twists I honestly didn’t see coming. 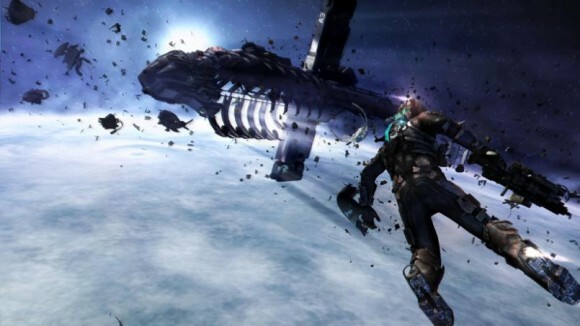 However, where Dead Space 3 really shines is in its gameplay. To start with, it still blows me away just how immersive each of these games is, thanks mostly impart to how clean the user interface is. The bench now acts as both a shop and a weapons modification system. No longer do you upgrade your weapons by finding power cores and plugging them into a flow chart; now you find upgrades such as weapon frames, circuit boards that increase your weapon’s stats, and materials that can be used to craft items and modifications. You also have the option of purchasing weapons, modifications, items, and materials through EA’s microtransaction service; i.e. pay real money for in game items, though I think this is a stupid addition designed to simply nickel and dime consumers who have already dropped $60 for the game. On the other hand though, paying real money is completely optional and completely ignoring this aspect of the game doesn’t affect your game in the slightest; after all, some of the DLC can be “purchased” with items called ration seals which can be found, for free, in game, so there is a decent balance. By far my favorite addition is the aforementioned weapon customization mechanics. 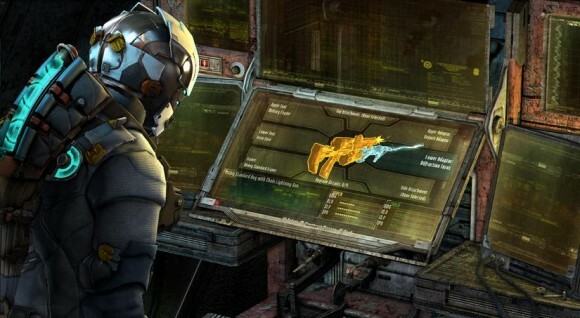 Finding different materials and weapon parts gives the player more of an incentive to explore the aesthetically refined environments that make up the world of Dead Space 3. If you’re anything like me you’re going to be spending a lot of time at the bench, tweaking your weapons to make them ever so slightly better. There is a lot of room for experimentation, and you don’t have to worry too much about wasting materials because you can always dismantle a weapon and start anew. 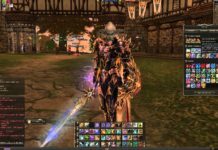 This customization system is very reminiscent of inventory management traditionally associated with an RPG, adding some much needed depth to the overall experience. Rarely did I not have the necessary parts and materials to customize my weapon and improve at least some aspect beyond what it previously was. 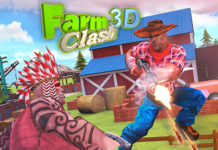 This was due in part to the scavenger bots you are able to deploy with the sole purpose of finding materials for you while you continue about the game unabated; with the inclusion of these bots I see no reason why anyone would use the microtransaction system unless they were just incredibly impatient. One small caveat I have with the weapons in Dead Space 3 is how little incentive there is for using more than one weapon. This time around Isaac can only equip two weapons, but it hardly matters when, if you know what you’re doing, you can craft a gun to fit almost any situation. Each gun has two triggers which can each fire an entirely different weapon; want a machine gun with a rocket launcher? You got it! How about a combination buzz saw and revolver? It’s yours! On top of all this is the fact that all weapons utilize the same ammunition, so I’m willing to bet I’m not the only one who went through the entirety of the game continually upgrading a single weapon. Speaking of ammo, it and other sundries such as health and stasis aren’t purchased, per say, rather you craft these items out of the same materials used to create weapon components. I think this was smart thinking on the part of the developers as it forces the player to pay close attention to what resources are being utilized where. If for some reason you get bored with the main story, there are quite a few optional missions for you to tackle: these really only serve the purpose of finding more upgrades and materials, as well as lengthening the game. The downside of these missions is that the can get very repetitive and they utilize many of the same game assets, so there will be a lot of déja vu moments as you trek down the mirror image of a hall you’ve already traversed, or you find yourself fighting off a hoard of enemies in the same nearly identical room. These missions are more or less equivalent to grinding and have the bad habit of popping up right in the middle of a frantic story arc. To someone like me who wants to complete as much of a game as possible, the position of these missions can act as a major distraction, throwing off the tone of the narrative in progress, however, a simple solution to this would be to simply ignore optional missions altogether. Dead Space 3 took me about 20 hours to complete, but I spent a good chunk of that time customizing my weapons and completing most of the optional missions; I think it’s safe to say Isaac’s latest adventure is much larger and more fully fleshed out than previous entries in the series. It isn’t all that scary, sure; however, there are a few startling moments, like when the incredible hulks of necromorphs chase after you and all you can do is run, but this isn’t the same as the sheer terror games like Amnesia: The Dark Descent or Slender bring about. That said, I still had a lot of fun with Dead Space 3. It’s by no means a masterpiece, but it is a very well designed and enjoyable experience that had me saying “Holy crap, that was awesome!” more than a few times. 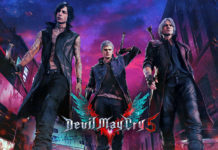 I wish more attention had been given to character development and smoothing out the inconsistencies between the single player and cooperative plots, but despite this I still had a great time and I might even go so far as to call this the best in the series; it’s certainly my favorite. 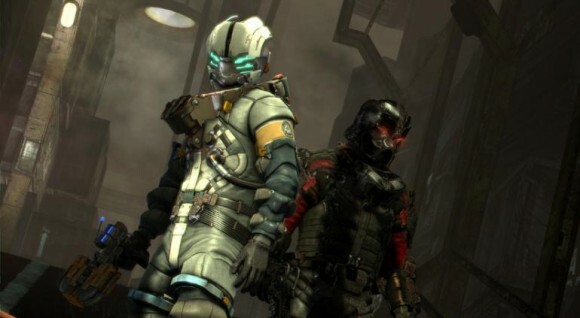 Hopefully there won’t be a Dead Space 4 because everything feels tightly wrapped up and I’m happy with how it ended; here’s to hoping that feeling never goes away.